Its Base Plate is designed to work with the PHS IR Preheater. The Rework Arm comes with different articulations which are allowing height adjustment and work position adjustment to suit the operator`s needs. The tool holder allows inclination and rotation adjustment. 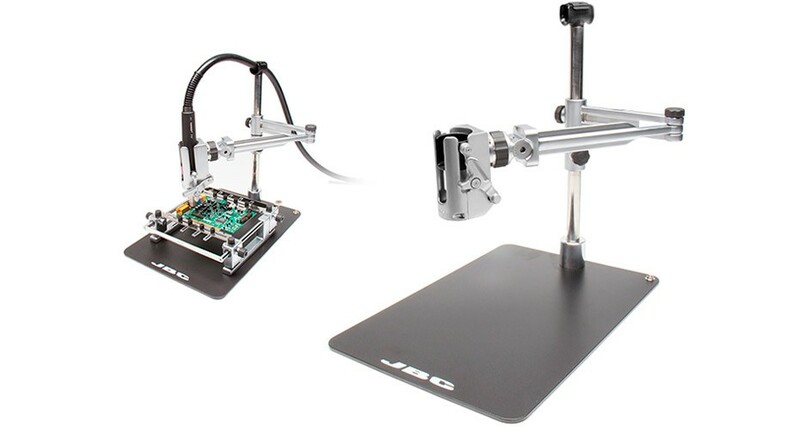 Both vertical axis and tool holder articulation are scaled, which is helpful in repetitive soldering tasks. The Hose Clamp holds the Heater Hose away from the work area to keep it clear of obstacles. PCB Support and Heater Hose Set are not included.